This wonderful tenderly rose coloured wing from the Engelsrufer Angel Whisperer collection shows its details in its lovingly elaborated angel feathers. The protective pendant is the perfect complement to your Engelsrufer and will be your daily companion. The detailed wing will also not miss action worn separately on a chain. The pendant is made of 925 sterling silver 18K rose plated. This wonderful small golden wing from the Engelsrufer Angel Whisperer collection shows its details in its lovingly elaborated angel feathers. The protective pendant is the perfect complement to your Engelsrufer and will be your daily companion. The detailed wing will also not miss action worn separately on a chain. This beautiful pendant is made of 925 sterling silver 18K gold plated. 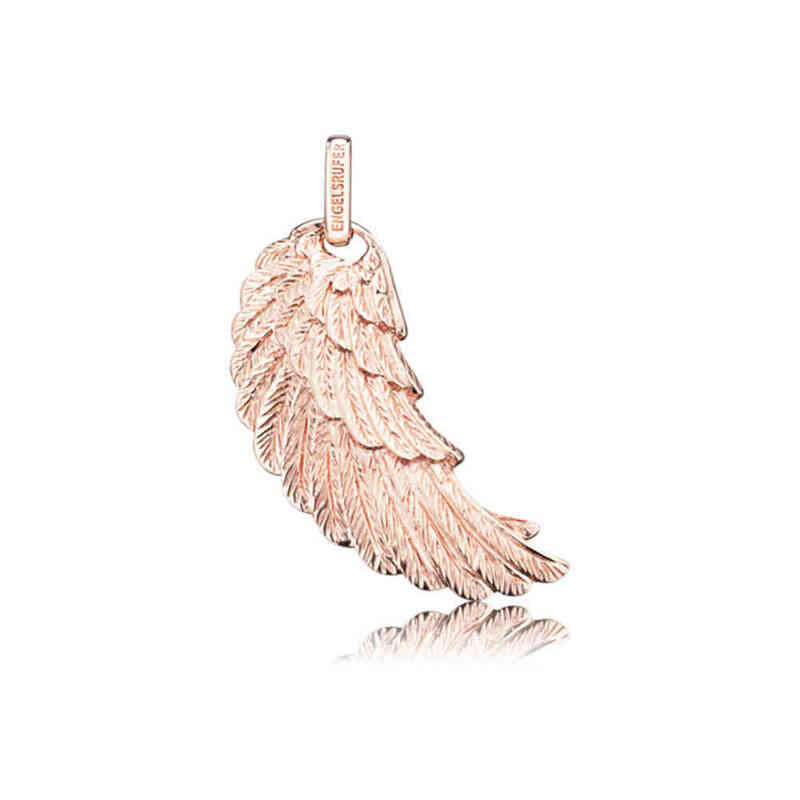 Engelsrufer Angel Whisperer angel wing charm pendant made of rosé plated 925 sterling silver.